Bars and restaurants are offering game-day specials and events for all kinds of fans. 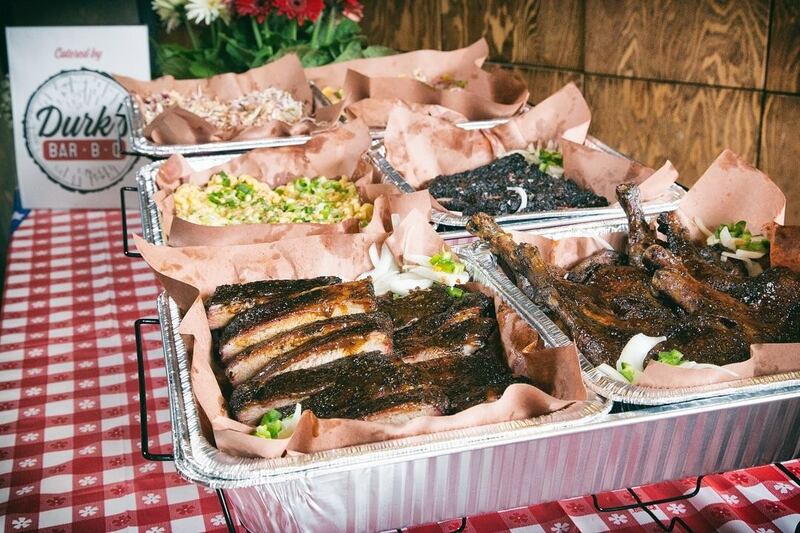 A takeout spread from Durk’s Bar-B.Q. After a nail-biting overtime win against the Kansas City Chiefs, the Patriots are headed to the Super Bowl for the third consecutive year. Fans across New England will be rooting for the Pats to take back the Lombardi Trophy on Sunday, February 3 at 6:30 p.m. With the game on through mealtime, there is a dining experience for every fan, whether you prefer to toast kickoff with some wings in a sports bar or settle in on the couch with a takeout spread from a local restaurant. 1. Whiskey Republic is honoring the G.O.A.T’s tenth Super Bowl appearance with a party, complete with two live goats. Pat the animals and enjoy game day specials staring at noon, then watch the Patriots on the Providence bar’s 120-inch projector. 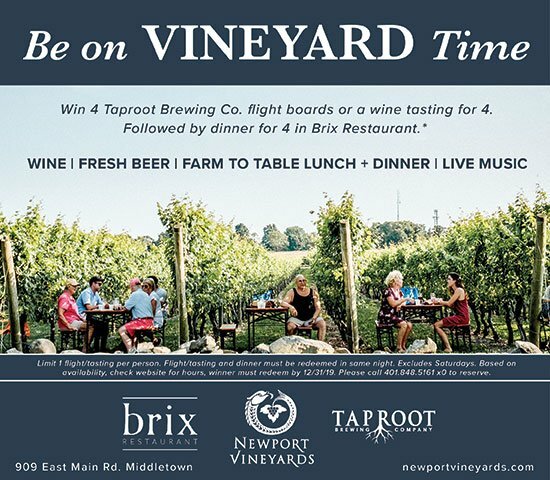 Reservations are available at 401-588-5158 for parties of eight or more. 2. Head to Xaco Taco from 3 p.m. to close to indulge in excellent $2 tacos folded with housemade tortillas while you watch the game. They’ll serve G.O.A.T. tacos for fun Patriots-themed meals for the Super Bowl. 3. GPub’s Beer Bowl 53 starts at 3 p.m. with live deejays spinning your favorite “arena anthems” and the party continues through to the post-game celebration. Participate in several giveaways before kick-off, with free raffle tickets available upon entry. Prizes include a Coleman grill, throwback jerseys, gift cards and more. The first 100 fans to walk through the door receive a GPub Beer Bowl Square and the chance to win even more giveaways. Enjoy the tailgate with specialty cocktails and beers from Bud Light, while watching the game on one of seventeen TVs. The Pub is also offering a special takeout menu for those who prefer to host their own Patriots-themed event. Call 401-632-4782 to order, or reserve a booth for game day. 4. Start celebrating the game early with the Jack Daniels Football Promo at Twin River Casino in Lincoln. Stay for a meal, and the Super Sunday Bash, starting at 5 p.m. at Wicked Good Bar and Grill. Fill up on a nacho platter, any flavor of wings, one appetizer and four sixteen-ounce Bud Light drafts for $28. The twenty-one-plus package also includes some wicked good prizes. 5. Bring home something a bit spicier than typical bar food from Diego’s Barrio Cantina in Middletown. For $12 per person, enjoy a no-prep meal of bake-at-home chicken nachos, Mexican chicken wings, a choice of signature salsa, guacamole and chips, and shrimp and butternut squash rangoons. The Cantina’s full menu is available in house, as well as smoked chicken wings, chili cheese dogs and half-price nachos. Sip on a pitcher of Narragansett lager and a margarita during the game, or take home a margarita kit for everyone, just add the tequila! 6. Meat lovers rejoice! Durk’s Bar-B-Q is accepting orders for Super Bowl party packages until 5 p.m. on Saturday. Pick up one of two options on Sunday before the game. The first feeds twelve to fifteen fans with two pounds of beef brisket, two pounds of pulled pork, two chicken legs, three racks of pork ribs, five pork sausage links and a quart of Durk’s own barbeque sauce. Feed eight to ten fans with a smaller version of the same thing. Choose between mac and cheese, corn bread, cole slaw, brisket chili or salad for your choice of two sides. 7. A more unconventional Super Bowl menu is available at Rebelle Artisan Bagels, a bakery that specializes in lox, specialty spreads and pastries, and bagels, of course. Make sure to place your order for the special game day menu: buffalo cheeseballs, pastrami Rueben sliders, bagel pigs-in-a-blanket and snack mix before Friday and pick up after 10 a.m. on Super Bowl Sunday. 8. Win the party-planning championship with a Patriots-themed pizza from D. Palmieri’s Bakery in Johnston. Each pie is a work of art, on a full sheet pan that feeds eighteen to twenty-four fans. Call 40-621-9357 to get the full team logo for $69.99 or something simpler for $20 cheaper. The bakery’s other pizza art includes images of Quarterback Tom Brady as G.O.A.T., and other designs can be seen on Instagram or the February issue of Rhode Island Monthly. 9. Skyline at Waterplace is hosting a Super Bowl Party sure to excite die-hard fans and newcomers alike. The party starts at 3 p.m. and continues all night. Make a toast to the Patriots, with former players and cheerleaders! For $40 per person, enjoy a buffet, drink tickets and valet service. The venue boasts a great view and atmosphere to match another great game. 10. The Courtland Club cocktail bar in Providence is hosting a Super Bowl party. Munch on potato skins, queso, wings and Boston cream pie available on the game day menu starting at 5 p.m. Make reservations to watch the game on the big screen by phone at 401-227-9300 or via email. 11. Participate in your own super bowl, with four hours of unlimited bowling at Alley Katz in Westerly. Their Stupid Cheap Super Bowl Party lets you watch the game, bowl and eat all in one place. The offer includes wings and soda or beer, along with a lane for $59.95. Book a lane at 401-569-7474. 12. 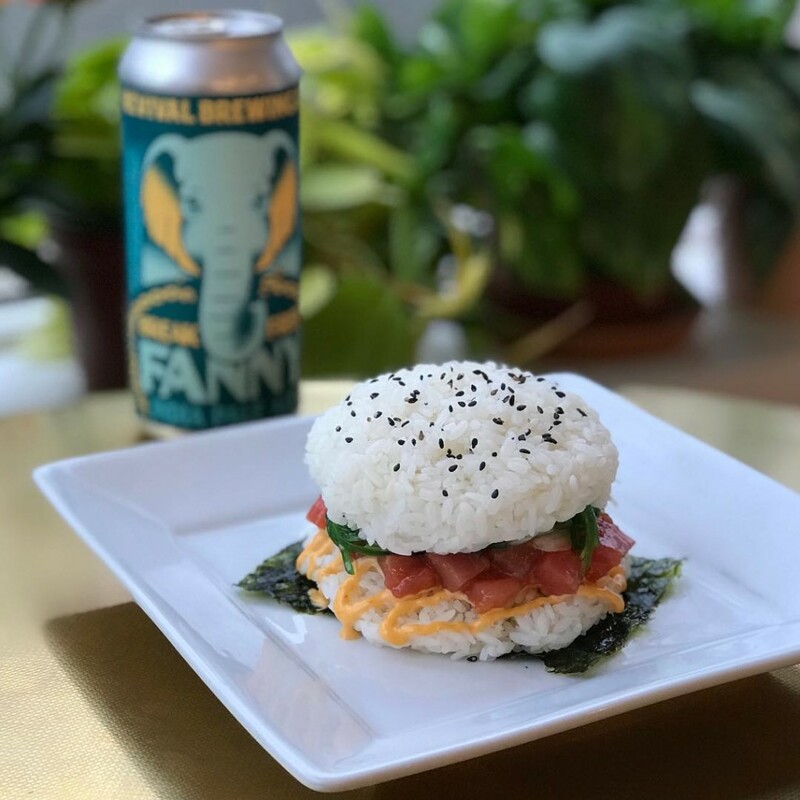 Head to Hometown Poke in Providence to try the poke burger, available Friday to Sunday. The poke is shaped into a burger patty featuring your choice of tuna, salmon or tofu, mixed with a signature sauce, and topped with onions and seaweed salad on a rice bun. The cost is $10 per burger or make it a combo with a beer for $15. The poke burger at Hometown Poke, available Friday through Sunday. Photo by Hometown Poke.